EHF 2017 Grants Cycle Now Open! 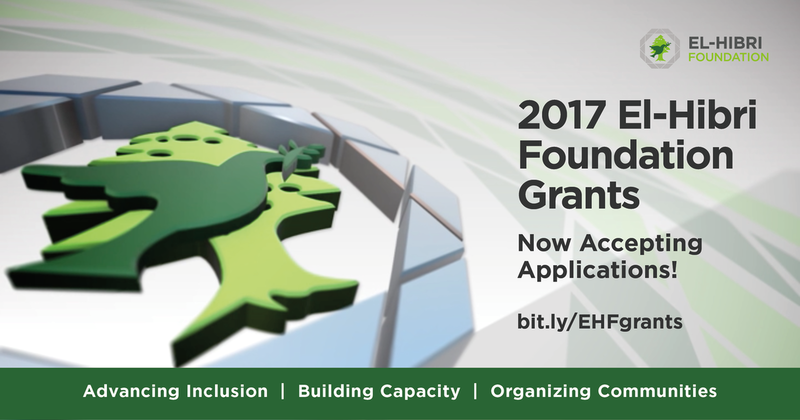 We are delighted to inform you that the 2017 El-Hibri Foundation (EHF) Grants Cycle is now open! After completing 15 years in grantmaking, we felt it was time to conduct a rigorous assessment of our philanthropic impact. We are grateful to our many friends and partners for the generous feedback we have received throughout this past year. It has led us to a more grantee-centric approach in our grantmaking and in our leadership and inclusion programs. For your organization to be considered for our 2017 Grants Cycle, please start by completing the form linked here by no later than Friday, April 28. We believe that if nonprofit organizations have the capacity, resources, and collaborative relationships necessary for community building, they can become more effective in advancing inclusion in America. Please apply today by visiting our page here.